If you want to experiment with our Custom Post Type support, you can download our testing plugin. 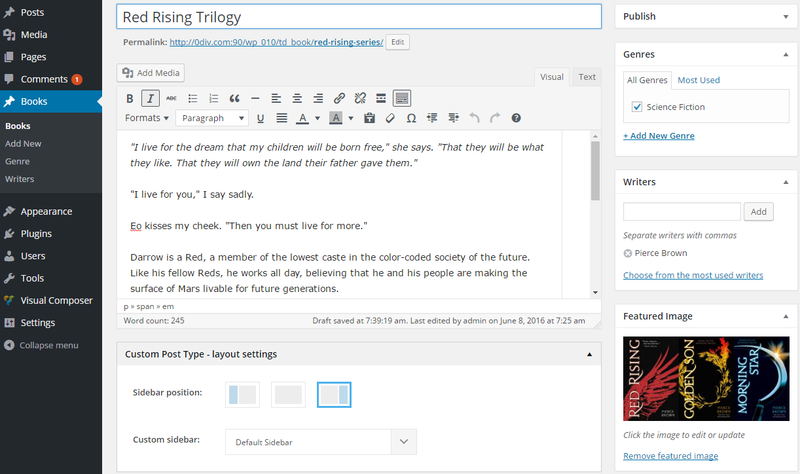 The plugin registers a ‘td_books’ post type and it adds two taxonomies to it ‘td_writers’ and ‘td_genre’. 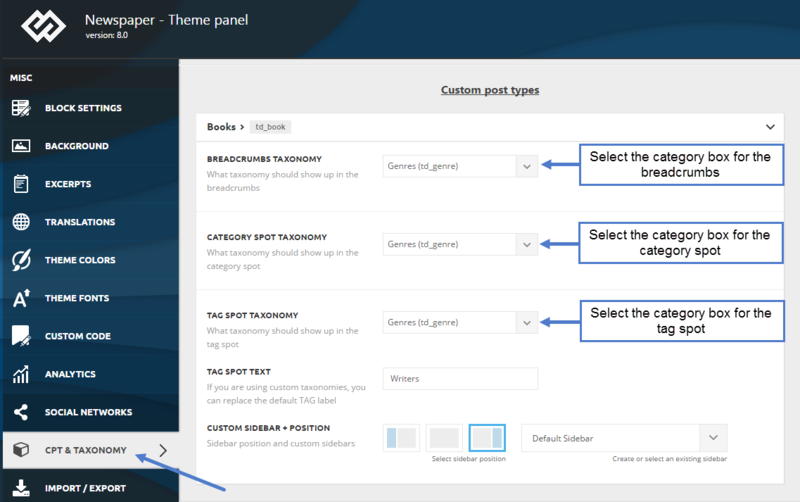 The theme detects all the installed Custom Post Types and it will generate a drop down with options for each one. Please note that the custom post types of WooCommerce are not present here because we plan to add a better way to manage the shop. Some plugins may register some strange stuff, like post types that are not used on the front end at all. If you see post types that you don’t recognize as your own we recommend that you leave the default settings for them. 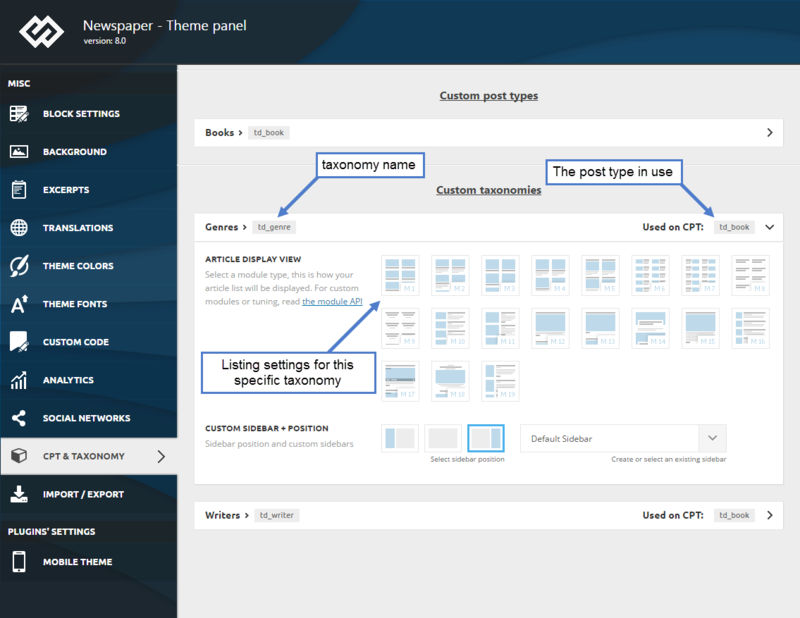 Custom sidebar + position – choose the post sidebar and it’s position, this will apply globally to all the post which are part of the CPT for which you are setting this. You can override this option from the post individual settings that can be found in the post editing section. In the following screenshots, you can see The Custom Post Type single page and where the settings from the above panel are applied. The theme creates a section for each taxonomy, at the same time providing some insights about the taxonomy ID and on what post types is the taxonomy assigned to. The settings from this drop-down panel affect the taxonomy archives page. 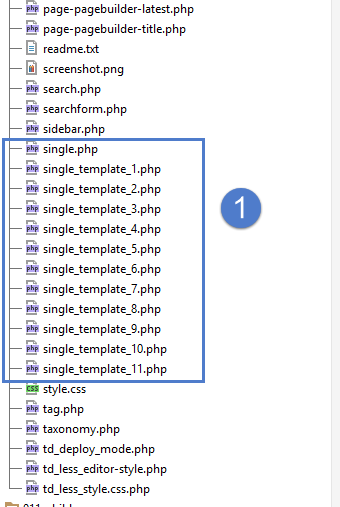 Note: Recently we added the taxonomy.php template. 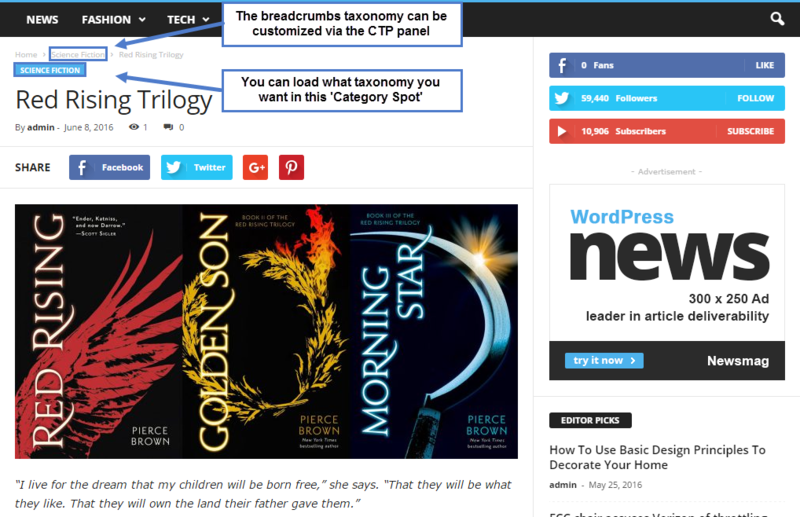 If you require custom modifications on taxonomy pages, taxonomy.php should be the starting point for them. On each post that belongs to a registered post type you can control the sidebar position(left, right or none) and what sidebar is loaded.